Our lives are defined and shaped by those who came before us. They make us who we are. Their stories give life to our existence. This page is dedicated to their memory. The Dominguez Escalante Journal: Their Expedition Through Colorado Utah Arizona and New Mexico in 1776, Escalante describes having come in contact with a Native peoples who called themselves Timpanogos, whose leader was Turunianchi, who occupied what is now known as Utah Territory. The grandsons of Turunianchi are: Chiefs Tabby, Wakara, Arropeen, Sanpitch, Kanosh, Grospean, Amman, and Sowiette. Black Hawk was the son of Sanpitch. During the Black Hawk War, the Spanish Fork Treaty was negotiated June 8, 1865. This Treaty recognized who the "Indians of Utah" that Congress was talking about in the Congressional Act of May 5, 1864. And whom the Uinta Valley Reservation was established for. Among the signers of this treaty are, Sow-e-ett, Kanosh, Tabby and Sanpitch. 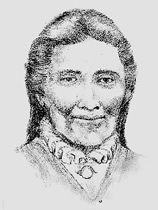 Wahkara was chief of the Timpanogos. Born 1808 near the Spanish Fork river in Utah, an area which had long been the home of his family and kin located in the central area of Utah. He was leader of the Timpanogos Nation. The name 'Wahkara" is Shoshoni by origin means "Hawk." Wahkara would learn from an early age the necessary skills of hunting, horsemanship, and leadership. He would be chosen by his people the Timpanogos to carry on his families long legacy of legendary leaders. He spoke Shoshone, Spanish and English, necessary to carry on with the Nations commercial enterprise trading in furs, horses, silver, jewelry and tanned leather goods. Chief Wahkara (Wah-ker) is listed on the Weber Utah treaty of October 30, 1865. However, Wakara was poisoned to death in 1854. Chief Tabby (circa 1789 - 1898) was the youngest of what Brigham Young called the "royal line" of brothers. He was present with his elders and sat in council as decisions on how to handle the fact that his people where being annihilated. After the treaty negotiations held at Spanish Fork, Utah he led the remnant of the once large nation to the Uinta Valley Reservation. Chief Tabby signed both the 1863, Shoshone Goship treaty of peace and the 1865, treaty of Spanish Fork. Leo Pritchett, Son of Chief Tabby and Nettie West, was born in Indianola Utah, He lived on the Uinta Reservation and was allotted land here, but as so many of our people were, he was denied access to the Uinta Agency as the Relocated Confederated Utes from Colorado had gained control of the agency. His attempts to be counted fell on deaf ears. He left the area and returned to the Wasatch front, his death certificated under cause of death reads "starvation". His children would continue his fight only to discover they, to, would be denied. The court documents reading they as their ancestors, were not Ute. His progeny are scattered across Utah, only a few remained on the reservation. Those that remained are members of the Timpanogos Nation. 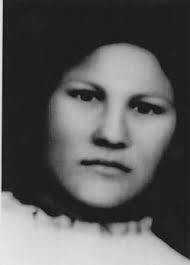 Rose Daniels, grew up believing she was a Navajo, Her children say she was captured by the Whiteriver Utes (some of the family say Arapaho), when she was around five years of age and they traded her to Chief Tabby. Her childhood has many interesting stories and her progeny disagree as to her origin. This is partly due to Aaron Daniels deathbed confession that he found her as a baby, hanging in a tree, after the Bear River Massacre. She lived with various non-Indian families as well. She later married Aaron Daniels and had several children. She was known as a medicine person as her abilities to cure the ailments of all including the animals was vast. She was a gentle soft spoken woman and was well liked by those that knew her. Her home was on the Uinta Reservation and her children and grand children were always considered part of our people as her native upbringing was with Chief Tabby. 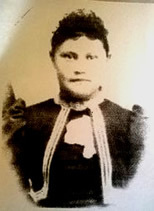 Ethel Daniels, daughter of Rose and Aaron Daniels. Ethel was born on the Uinta Reservation at Tabby Whites place. She attended Whiterocks and later Carlisle boarding schools. Where she learned to sew and make her own uniforms of blue serge. She loved to sew. She remarked that the hardest part of being at boarding school is being away from your family for so long. Homesick is the worst part. Naturitch Daniels, granddaughter of Rose Daniels, Naturich was always smiling. Her request to the government of the Timpanogos Nation was that the reservation be protected, that the future generations might have a home and be at peace. Her dedication and love for the people was a great attribute to her and her family. Arron Daniels, grandson of Rose Daniels was killed at war fighting to protect the United States. Wy-ve-dah, daughter of Pea-kage, (Peage) and Tervis. Wy-ve-dah is a Bear River Massacre survivor. She watched in horror as her little sister was shot and fell in the snow. Her mother dragged her on as they were running to escape. Her baby brother on her mothers back. A bullet hit her little brother in the head and silenced his cries. Her mother fell to the ground and Wy-ve-dah herself hit the ground. She while trying to get away from the bullets flying past them. She was shot in the leg but managed to escape. The elders tell the story of the scars she carried on her legs from the leg irons she wore while being held captive, by Brigham Young. Her escape from captivity led her to Ft. Bridger. She later married James Reed a Kentucky Fur Trapper and raised a family. She is buried in Whiterocks Utah. 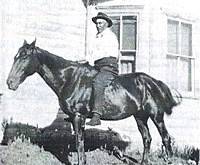 James B. Reed is the son of Wy-ve-dah and James Reed (Kentucky fur trapper), he married Rachel Murray daughter of Rachel Wanzitz Murray, after her passing he married Rachel Burson. He was an outdoors man, and was close to his sister Mary Reed Harris. Some of his offspring are listed with the Timpanogos Nation and others with the Ute Indian Nation. Illa Chivers, Great granddaughter of Wy-ve-dah and Rachel, Illa as a young girl was an excellent horse rider, she did all the tricks as seen in the old Buffalo Bill shows as her grandmother Annie Reed rode in the Buffalo Bill shows. Illa shared the story of her family getting a sack of Flour from the Mormons, when Old James Reed saw the flour he dumped some of it on the table and brushed his glove covered hand across it exposing the broken glass fragments hidden inside. She always warned against taking food from Mormons because of this. She dedicated most of her adult life to research to help "the people". Her prayers have helped guide us through. Mary May Reed Harris, daughter of Wy-ve-dah and James Reed. Mary was born on the banks of the Green River, she is remembered for her wonderful cooking skills, her rabbit skin blankets, hospitality and the many story she would tell. She knew Powell, Butch Cassidy, and many others whose names are recorded in history. She married Henry E. Harris a Pyramid Lake Paiute and raised a family. She lived to be over 100 years old. She is buried in the Ft. Duchesne Cemetery. Margaret Cora Francis Murray Van, daughter of Rachel, Margaret or Maggie as she was called worked in the old C.C.C. camps. she lived in a boarded up tent year round. She was known for her cooking abilities and gentle, loving disposition. People would come to buy her bread from many miles away. She was not fond of the Mormon people as she did not care for the way her mother was treated by them. 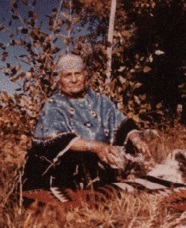 Julius Murray, grandson of Rachel, was the last of the OLD medicine men. He spoke fluent Shoshone and always reminded the people that we were of Shoshone origin not Ute. He married a woman of both Ute and Shoshone origin and his children were enrolled with the Utes. He was shunned by the Utes and left the area relocating to California. He never forgot his heritage and before he passed to the next world he traveled to attended the Shoshone Sundance held in Yellowstone where some of our Timpanogos men danced. Pernetta Sweet Murdock the daughter of Chief Aeropeen and Cyagup, Pernetta was taken by the Mormon Militia after an attack on one of Walkara's camps when she was a young child, (just loosing baby teeth). Her and another child, (Subpicket) were given to Joseph Stacey Murdock to raise. When she was around 13 Joseph Stacey married her. He stated that she was very instrumental when dealing with the Indians. She was the niece of Chief Tabby. George Thompson, ( a descendant of Joseph Stacey from one of his other wives), shared information from the journals with the Murdock family that told about Chief Aeropeen, Pernetta's father, coming down from the mountains once a month to the Murdock home to visit her. Her obituary reads that she is a full-blood Shoshone woman. She died at the Young age of 44 and is buried in the Heber cemetery. Frank Judson Murdock is the son of Pernetta and Joseph Stacey Murdock. Frank lived most of his life on the reservation. He worked with his brother Ed at the Whiterocks store. Frank, Ed, and their sister Betsey were all denied access to the agency as the government documents read, the Uintah and Whiteriver Utes did not want them counted as they were not "Ute". Frank had three children that remained but he eventually returned to the Wasatch front and is buried in the Murray Cemetery. Ed is the son of Pernetta and Joseph Stacey he lived on the Uinta Valley Reservation and worked at the Whiterocks store with his brother Frank. He had land and a family. He was denied access to the Agency along with his brother Frank and his sister Betsey. The reason being they were not "Ute". Ed returned to Heber where some of his family remains. some of his descendants are now members of the Timpanogos Nation. Ed is buried in Heber. Glen Murdock is the son of Frank Judson Murdock. He and his two sisters lived on the Uinta Valley Reservation. None of them were ever allowed to gain access to the agency. He married Lula Harris daughter of Mary Reed. He is buried in the Ft. Duchesne Cemetery. Colin Murdock is the son of Glen Murdock and Lula Harris, He attended Whiterocks and Sherman boarding schools. He was a Sundancer as were his brothers. His culture and beliefs where his life. As the Utes gained more power on the reservation these rights would be denied him. Access to the Sundance grounds, a place he grew up in, was denied him. He spent many nights in research as did most of our people trying to determine what happened on this reservation. Why were the people, the reservation was created for , treated as second class citizens. By trade he became a master electrician. He fought in the Korean Conflict where he became a Master Sargent. He never understood how a country he loved could deny him his heritage. He is buried in the Ft. Duchesne Cemetery. Danny (Little Red) Lopez is the great, great, great, grandson of Chief Walkara. In spite all the trauma of a rough life on the reservation he was able to rise to the top in his division and held the Worlds Feather Weight Championship for five years. His older brother Ernie (Indian Red) Lopez held the world weight contender title for several years. The anger felt as children pushed though each fight. Danny is an inspiration to all Indians everywhere as his endurance is an example that we can all succeed regardless of life's traumas. Danny resides with his wife in California.